User Review: "ADP Workforce Now Works for Us!!" We use ADP Workforce now to track benefits, run payroll, keep track of Paid Time Off (PTO), and keep track of job costing for future projects. The system allows our employees to view the timecard and pay stubs, and to print pay stubs/tax forms as needed. They can also ensure that their benefits are set up properly and they are enrolled in the appropriate plans according to their wishes. Tracks PTO in real time on an accrual basis. Easy access for pay information. It would be nice if the reporting feature was more user-friendly. I don't have a lot of time to take classes & such and I find I have to call in to get reports created instead of being able to easily figure it out for myself. It would be great if we had a consistent liaison with ADP. We've not had a great history with a consistent rep for payroll. Being able to e-mail our key contact person to resolve issues instead of having to call. Before our "dedicated rep" went on a leave of absence, we'd set up a weekly call to address issues. If there were no issues the call would be canceled. It was nice to know that we had that setup, and it feels a bit more stressful and urgent when problems do arise and I have to call in immediately since I no longer have that buffer. ADP works for our employees - especially the mobile app. It has taken some time for them to become familiar with it. But, it's a great tool for our employees who travel and are on the road but need to report their hours (in a timely manner) as well as be able to view their pay stubs, PTO, etc. I do not know of any area where ADP Workforce Now is less appropriate or not well suited for our business model. ADP Workforce Now Review: "Solid product, will help automate and reduce risks in your payroll process." We use ADP across the company for timekeeping and payroll. It has helped us move away from paper time cards, particularly for field employees (about 50% of our workforce). It has also helped reduce manual payroll processes and reporting. Payroll reporting (quarterly filings, ACA, etc.). Training materials are sometimes not simple enough for those who are not tech savvy. Ease of navigation - "The Bridge" help forum. Great for any office environment where employees are semi-tech savvy and using computers, phones, tablets on a daily basis. More challenging for field employees who don't have company-issued computers, phones or tablets to track time. Review: "ADP Workforce Now makes it easy to access payroll anytime anywhere"
Our company uses ADP Workforce Now for payroll functions. It's easy to access payroll any time anywhere for employees. It makes it easy to make changes and see history. This is especially helpful for contract employees where pay and benefits are not consistent paycheck to paycheck, or even if you make a change and want to see the impact. The detail is easy to read and understand. User Review: "2019 ADP Workforce Now"
ADP Workforce Now is currently being used as our main database for HR, payroll, benefits and time and attendance. We use the platform to sync with our other systems we use. We pull reports in ADP daily and we can accurately track new hires, terminations, and employees on leave. We transitioned over to ADP because we were using multiple platforms and as we got larger as a company, it became more difficult to keep track of. The transition allowed us to be more compliant and keep everything in one database. It's great having payroll, time and attendance, benefits, and reporting all on one platform. You can save employee documents in each file and can adjust each user's access to make sure no one has access to anything they should not see. Creating workflows for approvals are easy and simple. You can create workflows for any employee and manager changes. Customer service is slow and depending on the representative you get, the answers will vary. There are frequent updates that sometimes aren't helpful and make the user experience more difficult. The mobile app has a lot of room for improvement. ADP Workforce Now is well suited for a medium to large company. When the company was smaller we had used a different system, but as we grew as a company, we transitioned over to ADP Workforce Now. It is easy to create multiple users with different access and easy to audit the changes being made in the system. ADP Workforce Now Review: "User Friendly!" ADP Workforce Now is being used to help manage payroll for the entire organization. It allows the management team to review and approve time cards and review areas such as overtime and paid time off (PTO) balances. Employees can log in to see their time cards, review available PTO hours, request time off (with PTO or unpaid), and see paid holidays the organization offers. You can also use to system to pass along information to employees if needed. Has past paystubs for those of us who prefer direct deposit - green option. I really don't have any complaints from the user side. It meets all my needs and then some. It really provides comprehensive information and I, personally, don't see where it would be less appropriate. It might be cost prohibitive for a smaller company, but it works very well for us. Review: "ADP Workforce Now: The real solution to your HR problems and Management"
ADP Workforce Now was used company wide! We used it to track employee hours, time off requests, benefits, and so much more. It was really useful to use Workforce Now because it served as a one-stop show for payroll, benefits, employee information, and so much more! The major pro of Workforce Now is that the interface is really easy to use! Its clean/ organized look makes it simple to find what you're looking for. This product has a reporting tool that easily helps employees keep track of earnings, hours worked, and taxes/deductions. I truly love this function because the breakdowns that are provided are so easy to read and understand. The mobile app for WorkForce now could use some work. The biggest con about it is that it doesn't have a clock in/clock out feature. This feature would just be so beneficial to those who may not have time to wait at a desktop to clock in or for someone who is on the go. I believe that ADP WorkForce Now is ideal for any small to medium sized company! At my previous places of work, we have used ADP (restaurant, property management, and an internship) and it truly shows the versatility of the product and how it can truly be used at any place of work. Review: "ADP Workforce Now was a great solution for us!" We use ADP for payroll and benefits management. It houses all of our HR policies, staff paychecks, benefits and more. It is a great solution for us as we don’t have the ability to manage this in-house at our size. I’d like to see more integration with our internal apps. Certain things are hidden in drop-down menus. Great for businesses that are looking for an all-in-one solution that houses their payroll and benefits for their employees. Would be less suited for larger businesses that may manage this in-house. "ADP Workforce Now Review: 10/10 Would Recommend!" Our organization uses ADP Workforce Now for timekeeping, payroll, and HR benefits. Having one platform to manage all of this made it very easy for employees to see past paychecks, request PTO, see their current benefits, etc. There is also a mobile app if you are an hourly employee and need to report hours which is pretty convenient! The mobile app allows for quick time entry and/or PTO requests. Immediate updates to your time off balance when PTO request is approved. The user interface is very simple on both app and desktop. Could use a bit more robust reporting features. Well suited for organizations with employees across multiple states that have some salary/hourly employees. This does not do anything related to performance management, as we had to track that elsewhere. Would do well for organizations who want one spot for timekeeping and admin tools. I think smaller companies could find a solution for less money, with perhaps fewer bells and whistles. User Review: "ADP Workforce Now is a WINNER"
ADP Workforce Now is used to manager employee data (HRIS), benefit enrollments, applicant tracking, and screening/selection services. It allows once single repository for all of the employee data we have. We also maintain all of our employee records electronically (PDF) within the system. The software handles everything from the first interaction with prospective employees to the end of their employment. The system is comprised of behind-the-scenes modules that connect with each other to make the process seamless for users and practitioners. Updates and upgrades are continuously being explored and implemented to make the product more efficient. Navigation menus are easy to understand and you can add favorites for those items you use frequently. The system can be configured to allow individuals the right access for their job. The look of the homepage is outdated. It needs to be refreshed. The functionality is there, it just needs to be cleaner. One single point of contact. ADP is working towards this, but it still is in the works. Once this has been achieved, it will be fantastic. ADP allows me to recruit, screen, and onboard candidates without duplicating my efforts. I move the information along in the system and verify it along the way. It also allows for eVerify integration and the upload of documents. The product is intuitive and easy to navigate. There are multiple ways to get assistance when I have a question too. Review: "Views of ADP Workforce Now from a new user"
Our organization uses Workforce Now for HR, Benefits and Payroll processing. The HR and Benefits capacities are recent additions as we are streamlining processes and looking for accuracy and efficiency. The ability to manage the benefits (enrollment and deductions) through WFN have eliminated human error and saved time in the long run. Next, we will convert the HSA employee and employer contributions to the benefit module. Having employees in many states and overseas demands a provider that can handle the complex taxation. ADP representatives have been helpful and knowledgeable in supporting our employee base. There are some screen printing issues with relationship to the pay statements. There are great capabilities to compare up to 5 pay statements for an employee. The view of information is both helpful and powerful. However, if a printout is desired, it is impossible! It prints with all the underlying layers of data versus what is seen on the screen. So frustrating to have such a wonderful tool available, but no way to print or pdf to share with an employee. As fantastic as the customer service is, my experience has included some very challenging issues. In these cases, it would be helpful to have a dedicated phone line to reach the manager, team leader, or highly experienced team member that has been involved along the way. I have spent much time being transferred, waiting, explaining and re-explaining only to have to wait for a return call from the person I initially needed to speak with. The benefit and payroll modules are extensive and very well integrated. However, in the set up process, it would be helpful to have someone 'lead' the process from ADP along side the client. In setting up some benefits, we felt stuck in the middle knowing what the outcome should look like, but not how to get there. And the ADP benefit rep didn't understand the payroll side, while the ADP payroll rep didn't understand the benefit side. So we, the employer, had to attempt to understand both and guide the ADP reps in the set up. It felt a little disconnected. Eventually, we worked it out, but it seems a more smooth process from within ADP would provide more customer satisfaction. For a small employer, with very little turnover and few benefit options, ADP may be too costly for the benefit. There are many affordable payroll providers available for small organizations. 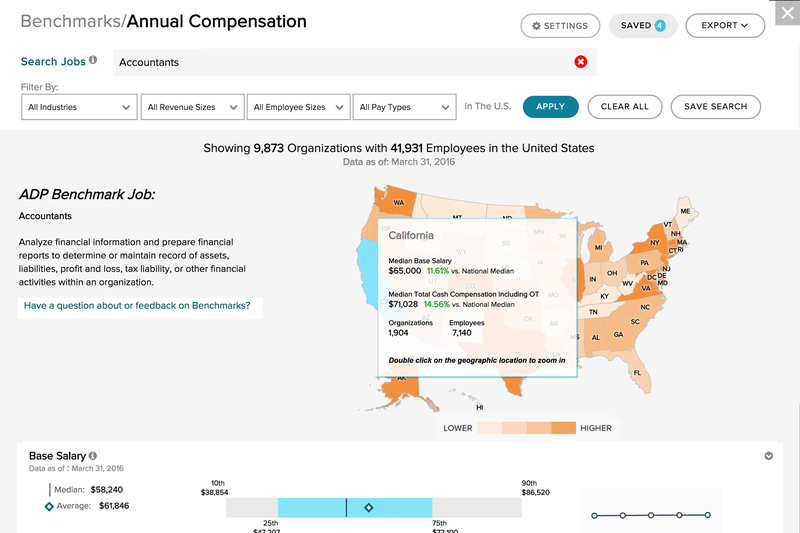 For large employers with many benefits options, employees in multiple locations, multiple tax jurisdictions and varied pay types (salary, hourly, commission, etc), ADP is ideal. The extended customer service hours, extensive resources for international pay, and capability for multi state taxation is crucial for an international employer. ADP Workforce Now Review: "Very powerful - Implementation is the key to success"
We do not use Workforce NOW but are implementation specialists who act as project managers for clients who have chosen WFN and want an expert to handle the implementation to maximize use of the technology. Our clients use it across the organization. It creates efficiency in the payroll and HR tracking functions. Helps maintain compliance for payroll and HR related items. Provides visibility for time off tracking and subsequent flow/impact on payroll. Improves efficiencies for timely processing. Requires better integration with Office 365 calendar. Main source of communication to staff should be though email functions vs. message centre. Staff do not always know to log in to message centre. ADP Workforce Now: "ADP Review"
ADP Workforce Now is our current payroll operating system. It holds all of our payroll information, and is used by HR and finance for reporting. Our employees use it, only, to check pay stubs and for accessing EOY forms. The user interface of WFN is amazing. It's simple, but very user-friendly. ADP syncs from our HRIS system. The sync of benefits for new hires is seamless. I really like that the new WFN update includes the option to add batches for prorations. It makes for calculating mid pay period starts very efficient. ADP reporting is weak. Some of my users, although admin status, have issues using this feature each time. Setting up new states and codes are not as user friendly as most other areas of the portal. ADP would probably function better for our organization if we were using it for HR & Payroll. The sync sometimes does not work, and unfortunately I think some of the hiccups we experience are due to manual error. I would recommend that ADP WFN be used as a total product solution for payroll and HR. Review: "ADP Workforce Now - excellent for large (500+) employers; not cost effective for small employers"
Workforce Now is not currently being used by my organization. It was previously used as our payroll processor by our four hotel properties (approx 50 EEs per property). ADP in some form (PayExpert before WFN) had been used by our hotels for over 10 years. Customer service/tech support. Very hit or miss, sometimes I'd call and get someone excellent, other times I'd be passed around to different departments. Also sometimes a long wait time. Biggest con was the price. We significantly reduced our payroll processing costs by choosing a different company with a local office. ADP is probably better suited to very large companies with 1000s of employees. ADP WFN is well-suited to companies with more than 500 employees who have a need for benefits administration, ACA compliance, time/attendance, on-boarding/recruitment in addition to payroll processing. Smaller companies can find better cost savings with a more modest payroll provider. ADP Workforce Now Review: "The All in One HR Solution"
ADP Workforce Now is used broadly across our organization; it enables us to find all of our HR resources in one place; including time off requests, compensation information, important docs, and company information. The interface is clean, intuitive, and easy to use - most functions can be utilized with little to no training. Easily request times off and tack accrued balances. There is a document repository to easily view important company forms and employee documents. There is an "Enrollments" hub which enables employees to easily enroll and manage benefits. The performance management tools are clucky, they seem to be a "me-too" add-on that offers little value compared to other solutions that are out there. The portal often has 'scheduled' maintenance, during these time you can log into your account. The mobile app seems slow, there seems to be frequently login issues. ADP Workforce Now is a good solution for an organization that wants to manage multiple HR tasks in one platform. This tool does a lot, but it doesn't do everything world class - particularly when it comes to performance management. ADP Workforce Now would be a good fit for organizations that want to streamline and scale their time requests, benefit enrollments, and payment receipts. User Review: "ADP WorkForce Now"
ADP Workforce Now is without a doubt the most efficient HR and payroll system that I have used throughout the duration of my career. It is a seamless integration of both systems and allows employees to monitor all things related to and involving the human resources side of the business. The ability to see which benefits programs you are signed up for. The ability to track PTO and assess the rate at which PTO is accrued. It is nice to be able to communicate directly with the HR staff on the platform. It is a little difficult to pull reports. If you switch off the tab, it will sometimes log you out of your session. The interface could be a little bit cleaner, as well as the search function (more readily search within an existing folder). ADP Workforce Now is best suited to be used in conjunction with existing HR systems, or even to replace an existing HR system. By integrating all things HR and payroll, ADP Workforce Now has efficiently changed and sped up the process through which monitoring PTO, benefits and payroll occurs. ADP Workforce Now Review: "ADP Workplace (Employee Perspective)"
ADP Workforce now was used across the whole organization to organize payroll and to provide a central location for company-wide announcements. It also was where relevant tax information was released. It addressed the issue of employees always going to HR for payroll questions. Instead pay stubs and tax information were easily accessible in a self-serve format. Review: "ADP Workforce Now is A Dynamite Product!" Our organization uses ADP Workforce Now for payroll. Entering information is very user-friendly and the turnaround time is amazingly fast. ADP also files our tax reports, which saves me time and hassle. Payroll Reports are available online and easy to read. Employees have online access to their payroll information which saves staff time when employees need information. If I have an issue or question, ADP representatives are readily available to assist. I am so pleased with ADP Workforce Now that I cannot think of anything I'd like to see done differently. ADP Workforce Now suits our organization of 50 employees well. On a typical payroll, it takes me less than an hour to submit a payroll from start to finish. ADP Workforce Now Review: "Use ADP Work Force Now and not later"
We are using ADP Workforce Now with HR and processing our employees payroll. It is used by our accounting department and our time record department. ADP Work Force Now is very easy to use. It is is user friendly, reliable and quick. Processing payroll is done in minutes and it requires very little training. The only thing that I think needs improvement is the report feature. I think it needs to be easier but with all honesty, I think we need more training on that. ADP is well suited for all businesses with more than 10 employees. A small company with less 10 employees will more likely to do in-house payroll. ADP Workforce Now Review: "Workforce Now"
ADP Workforce Now Review: "ADP - Great Product"
We are using ADP across the whole organization; mainly we need it for payroll. I like the support center, they always know the answer to my questions. It is user-friendly for both employees and the admin. I'd like to see the price drop down. ADP employees are very knowledgeable and they do lots of follow up. ADP Workforce Now Review: "Companies can save time on important issues"
I have been using ADP Payroll for over 15 years, and Workforce Now since their inception. It is definitely a tool every company with employees should use. It saves time, and takes away the burden of reporting, especially for the year-end reporting from a busy HR rep. or inexperienced person. Our firm found the ADP Workforce process easy to use, and reasonable in price. I cannot make make recommendation for improvement , as my needs in using ADP Workforce have always been accommodated. ADP Workforce and their other services work well for companies that have a small or large employee workforce, and that do not have a fully staffed HR department that can provide and fulfill all the areas needed for both Company and employee needs. User Review: "ADP WFN - Making life easier!" We use ADP WFN for all of our HR and Payroll needs for the entire organization. We are able to track, update and process all of our HR and Payroll day to day functions with it. It is simple enough to use and when we do have issues their customer service is available to help us. We use specifically to enter new employees into our system, process payroll and all of our reporting. For Payroll reporting with Accounting and Finance, we are able to produce reports that satisfies our needs. I would say their customer service via phone needs to improve by a lot. A call to them could take up to an hour sometimes and that has to change. WFN should have more options to choose from on just about every module that they serve. It seems their modules address the most popular issues but many times you are limited. The reporting that we use WFN for works ok, but requires some time on the phone, a simpler format with more to choose from would be helpful. WFN is great when we have to run a special or bonus payroll. It allows us to set up and run almost instantly. It is accurate and very time friendly. We are able to follow the flow of funds to our ACCT Department and allow us to transfer funds for a special payroll to our bank in a timely matter. This is very important for our firm. ADP Workforce Now Review: "Payroll for Trainers Usage"
We use it almost 100% for payroll. It works very well most of the time. I use it to pull training information. The reporting feature has gotten much easier to use. A lot of employees use the mobile app and are happy with it. Lots of great reporting features. Many opportunities to create custom fields. I really like the reporting features and all the different ways you can create reports..
ADP Workforce Now Review: "ADP makes it easy to view and manage PTO and payment information"
ADP Workforce Now is used by our entire organization. Every employee has access to the system to view the company-wide calendar. The calendar shows upcoming holidays, company information and the pay schedule. Employees can also request and monitor their PTO from ADP. You are able to see how much PTO you have used and what you have remaining and then request PTO directly from the calendar. All of your employment information is available in ADP as well. I love being able to see my PTO balance from within ADP. I can quickly see how much PTO I have left for the year and how much I have already used. It is very easy to view our work calendar and request PTO. You can select the hours/days you are requesting as well as provide notes on why you are requesting the days off. There is a company-wide calendar in ADP that shows the pay schedule as well as any national holidays and company days off. This is very convenient. You are able to view all of your past pay stubs very quickly and easily from ADP. I work from home occasionally and for whatever reason, I cannot access ADP while remote. I have tried logging into our network via VPN and am still not able to. For some reason, I also have trouble logging in via the mobile app as well. When it works, it works great, but I cannot always use it. It can be a little confusing to navigate the menus on the site at first. Now that I have been using ADP for a few years this is not a problem, but at first, it was a little confusing. ADP is a great tool to manage your employment information, your payment information, and your PTO information. I use it on a regular basis and have never had any real issues with it. When you request PTO, you are sent a confirmation email and your approver is also sent an email. Once you have been approved, you get an email back letting you know. I think ADP may not be the best suited for smaller companies. When I worked for a smaller company, we may not have had a great need for something as robust as ADP. ADP Workforce Now Review: "Workforce now... some strong capabilities, but reporting could improve"
We utilize Workforce now for all of our Time and Attendance tracking and reporting. This allows us access to specific data for the clock in and out times, tracking overtime, and coordinating the various shifts we have across 3 work locations. This also works well for us as we utilize it not only for shop clock in with fingerprint scan and 4 number pin but also for our office staff who clock in and out on their computers. We like the simplicity of the system as one of it's best aspects. All of our hourly employees clearly understand how it works. Enter a code, press the fingerprint pad, and you are off. For those in the office, we have a link right off of our Intranet, so you log in, click the link, then click the Log Me In button. Ease of use and ease of explanation for temps and regular employees alike is of importance to us. Not only is the log in feature easy, but we also have several times a day where employees in our shop are working in one department and need to then work in another department. The logging in and out of different departments couldn't be easier. Just use the fingerprint scan, select the new department, and go. We are pleased that teaching new employees about this feature is very simple. We also track time for our temps, even though we don't pay them through our ADP payroll system. This too is straightforward and simple. We set up a couple controls differently, but this way we can track the hours worked by temps and regular employees alike for efficiency and cost perspectives. We are pleased with how this operates. One aspect that could use some improvement is the reporting aspects. We have found that not every field works in conjunction with every other field for reporting, so we can't just say we want this, and this and this together on a report. Sometimes we have found we need two reports run and then we need to combine them in Excel with V-lookups. The data is correct, but it would be better to have easier reporting capabilities. The customer service could be better in some areas. We used to call an 800 number but were then told that our account was "large enough for a dedicated team". We were then assigned an account rep. The problem is that the account rep was rarely around to take our calls, and many of our calls were things that needed to be addressed quickly (problem with a code in payroll, etc). We couldn't wait two days to hear back if we are submitting payroll today. Even though there is a team that helps the account rep, more often than not we hear that they will need to leave a message. We don't have many issues where this comes up much more, but when it does it is an inconvenience. This is well suited for many locations, where there are many people clocking in at several areas and also vary between desk and factory clock-ins. Where there may be issues with Workforce now is in where we have mentioned before... strong reporting capabilities in reporting on many aspects is a struggle. ADP Workforce Now is an easy-to-use human capital management solution for companies with more than 50 employees. 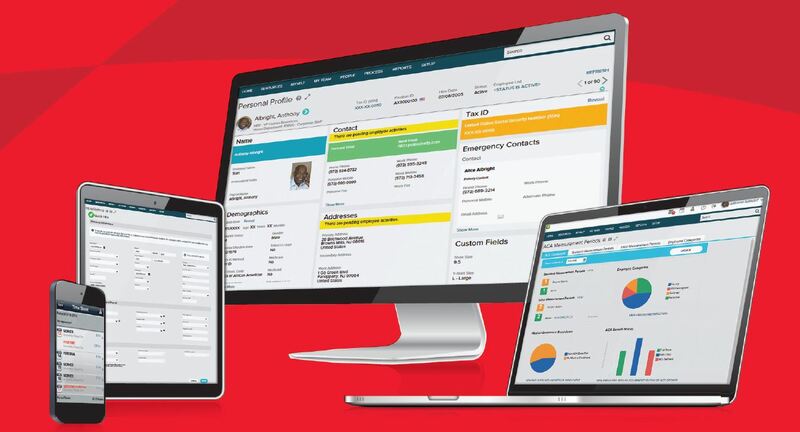 Built on a single database, the fully integrated ADP Workforce Now suite includes Human Resources, Payroll, Benefits, Talent Management, Time & Labor Management and HR Analytics capabilities. From payroll to proactive compliance to managing employees across borders, the vendor says the goal of ADP Workforce Now is to free users from administrative tasks so they can focus on their people and their business. Workforce Now integrates simply and securely with other business applications through APIs and the ADP Marketplace. Users can add more functionality as their business grows. 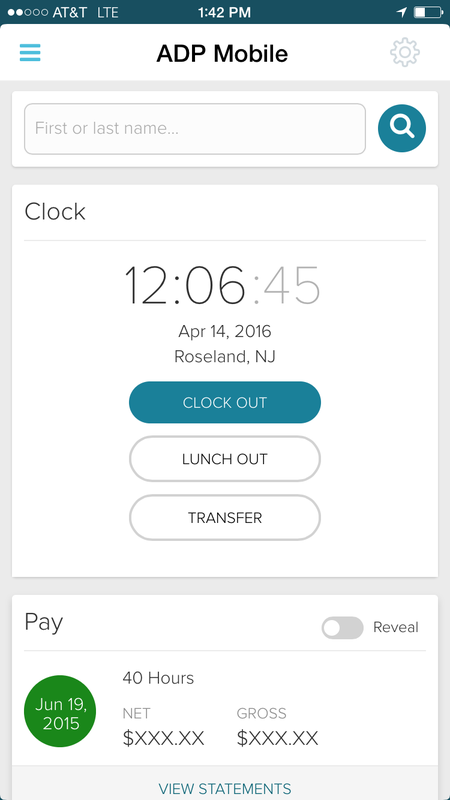 Fewer employee questions – easy self-service tools like the WFN top-rated mobile app provide access to pay info, timecards and more. Less data entry – updates sync automatically to payroll, benefits and other systems. Competitive pricing – options designed to meet users' specific needs. Expertise – vendor has over 65 years of experience, and is used across industries. Automated alerts – to help prevent costly errors. Compliance – over 2,500 specialists actively monitor regulatory changes and focus on users' compliance needs.